Dr. Sara Konrath discusses the presentations with the class. 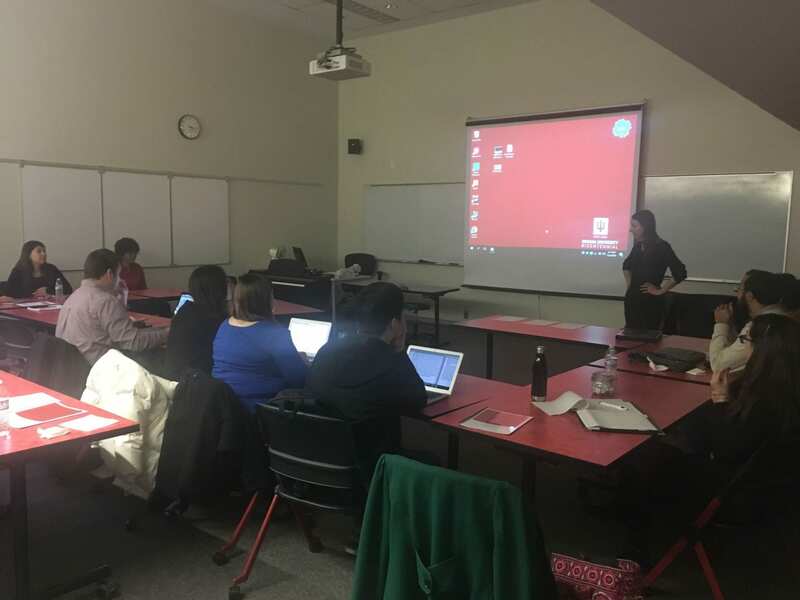 In Dr. Sara Konrath’s P-690 Research in Philanthropic Studies course, first and second-year doctoral students work together in groups to create an experimental research project. After creating and working on the project throughout the semester, they prepare and then give the presentation in front of a panel of judges and their fellow students. The group whose project is chosen as the best earns money from an anonymous donor to complete their experiment. With a wide range of interests and educational and national backgrounds, the group initially wasn’t sure what topic to focus on. Yasin, from Ethiopia, has a background in economics and is interested in studying the motivations for giving and how studies can capture intrinsic motivations. 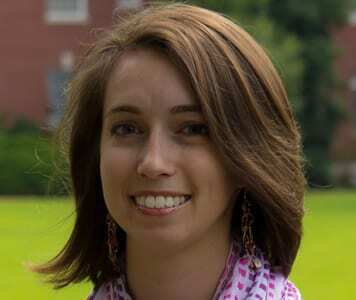 From Virginia, Eggenberger studied political science and higher education, and wants to learn about global service learning and college student community engagement. Saudi native Alzahrani has focused on Islamic Studies, education, and leadership and is interested in the professionalization of philanthropy, while Yang from China has a sociology and public management background and is interested in global philanthropy. With help from Dr. Konrath, the students identified a topic to study, and set to create an experimental project that tested and linked prosociality and cognition in children. “There are no studies on children that study the effects of prosociality on cognition,” Yasin explained. So, the group proposed a study with children from a local elementary school. Approximately 70 fourth-grade students, with half randomly assigned to the experimental condition (those who will paint art for patients at Riley Children’s Hospital) and the other half assigned to the control condition (those who will keep the art for themselves), will paint for 30 minutes. The group hypothesizes that those who paint for others will score higher in the cognition test, with their creativity also increasing. Preparing the experiment took time and effort from the entire group, although Eggenberger noted the collaborative strengths of each group member: “We all have our strengths. I have prior experience in logistical planning, so I presented how the experiment would run and who we were working with. Kidy did a lot of work on the analysis part of the experiment. The group was nervous, yet excited for the presentation. “Even though you’re nervous, we worked on this project for a long time and created it from the ground up,” Eggenberger said. The group will present their project to the Institutional Review Board this spring, and work throughout the summer in order to conduct the experiment at the elementary school in the fall. In the long run, they hope to write and publish their findings, as well as present at the Association for Research on Nonprofit Organizations and Voluntary Action’s (ARNOVA) annual conference. The work they put in is paying dividends already, though. “It was helpful to learn the process for designing experimental studies, including how to form a good literature review,” Yasin explained. Eggenberger added that the process of designing the project has made her more aware and at times, critical, of academic literature: “I’m more mindful of what I read from news sources. I ask questions about the findings and experiment itself, such as how they’re measuring what they’re studying. “Even if some of us don’t plan on conducting experiments during our academic careers, this project has helped us to be more well-rounded students and future academics,” Eggenberger said.